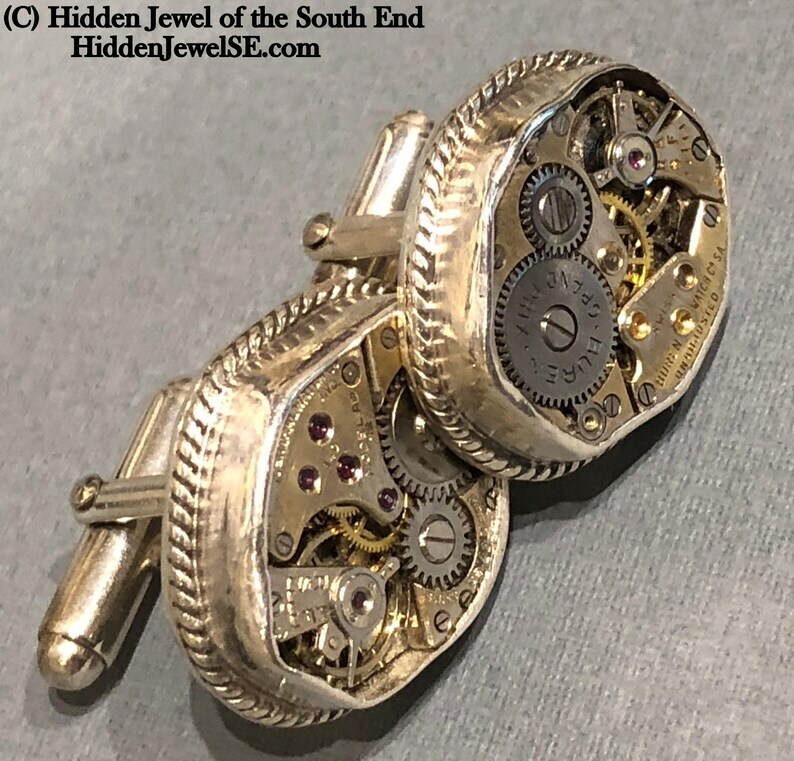 These Watch Component cuff links make a great Valentine's Day gift for watch aficionados, mechanically inclined men, or virtually any man who likes timeless style! 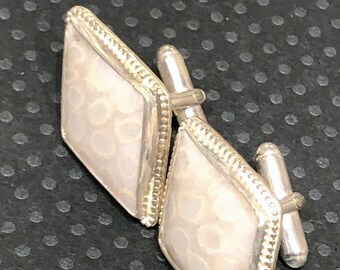 These cuff links are a best seller in our shop! They have a classy mechanical look that will complement any dress shirt. These cuff links are hand soldered using genuine antique watch components. Intricate gears and parts are beautifully displayed mounted on sterling silver cuff links. The custom made bezels are surrounded by a sterling rope accent. the bottom twists are also sterling silver. The last picture shows the actual watch components being prepared to set in the custom bezel! Ordering is easy. Just click the add to cart button on the right and purchase with a credit card or PayPal and I’ll have your new jewelry nicely packaged and on the way to you in no time! Handcrafted in our shop in the South End, Boston Massachusetts. Please contact me if you have any questions or special order request. Thanks! And "Like" me on facebook to keep up on my new arrivals and special offers! Contact us if you would like different sizes or colors. We love to make people custom orders. Add beautiful gift wrapping to your package, and we can even ship direct to the recipient! Such a pretty ring - lovely color! Really beautiful color of blue and lovely setting! Prettiest color of pink and sparkly! Look like a latte as an earring! Love them!